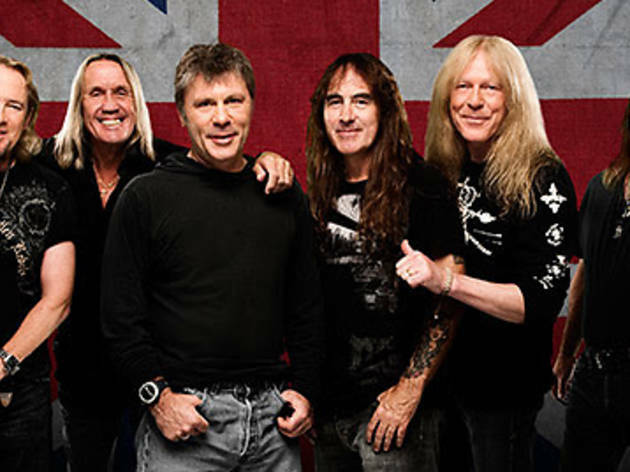 After their appearance at Sonisphere 2013 in Barcelona, the ​​veteran British heavy metal band are back in town at the final stretch of their Maiden England Tour. According to their spokespeson Bruce Dickinson, Iron Maiden's show (8.30pm) will be something different to what you saw last year. It's still based on their 1988 Seventh Son of a Seventh Son Tour, but for the 2014 concerts they've changed the repertoire a bit to include more of their work from the rest of the 1980s. According to the group – who promise an excellent light show, staging, various incarnations of Eddie and tons of pyrotechnics – this could well be the last time they play some of these biggies live. Their invited guest is Anthrax (7pm), one of the 'Big 4' of thrash metal.